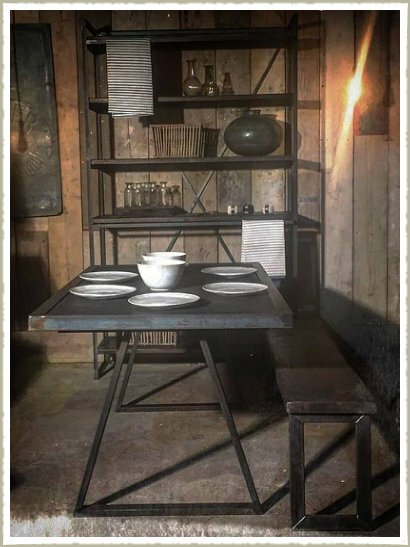 Industrial Trestle table, oak plank top with a steel rim and aged steel trestle legs. Simple clean design but with a raw industrial edge. 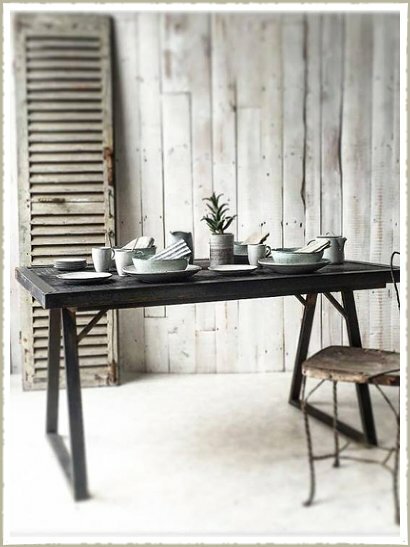 Great for a desk or smaller dining table. 150x90x76h £600 + vat, please ask for other sizes and price quotes.